Overall the trip was ok, but there were many dissapointments. I would not recommend this cruise to anyone based on our experiences. The main dining room was terribly slow. 30 minutes to get a round of drinks, 20 minutes for a cup of coffee. Every night, dinner took forever. We did not find staff to be very friendly or interested in helping. Our room attendant was great, but other than that we found guest services to be rude and also the medical office was terrible as they turned us away when our son needed a cream for his sun burn blisters. They basically close the door in our faces and did not help until we started to complain loudly. 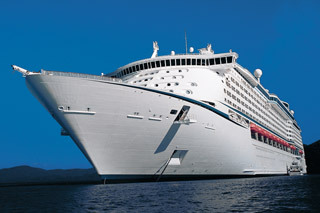 I will cruising on this ship in December. Did any of the staff apologize or try to make your stay better? I hate when people do not elaborate on what was wrong, how is that helpful?